Just under a year ago, Intel launched the first Core i7 processors based on the revolutionary Nehalem architecture to critical acclaim. However, the initial high price of the LGA1366 motherboards and triple-channel DDR3 memory kits required by these processors made the original Bloomfield-design Core i7 CPUs a hard upgrade to justify. Intel's plan was always for LGA1366 to be for high-end systems, however, and later planned to release a lower-cost platform to fit between Core 2 and Core i7. Based on the Nehalem architecture, the new Lynnfield CPUs are designed to fill that gap. To keep down the cost of upgrading, a Lynnfield CPU has only a dual-channel DDR3 memory controller, rather than the triple-channel controller of a Bloomfield CPU, so you'll only need a two-stick memory kit. With fewer connections between CPU and memory than LGA1366, the socket for Lynnfield has 1,156 pins as opposed to 1,366. 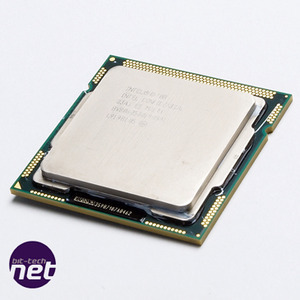 The resulting LGA1156 processor socket is midway in size between LGA1336 and LGA775, and has different mounting holes to those of LGA1366 and LGA775. This means that you'll also need a new cooler for an LGA1156 motherboard. There are three new Lynnfield-core processors - some branded as Core i5, but also, confusingly some as Core i7, despite being LGA1156, not LGA1366 processors. Click to enlarge. Unfortunately, Intel has taken a leaf out of Nvidia's cursed Daedric artefact 'The Book of Confusion' when naming the first Lynnfield CPUs. Rather than calling the new range Core i5 to clearly convey the incompatibility between the LGA1156 and LGA1366 sockets, Intel has branded some Lynnfield CPUs as Core i7. We're now in the stupid situation of having to clarify between Bloomfield LGA1366 and Lynnfield LGA1156 Core i7 CPUs to avoid confusion: this is annoying for ourselves, consumers and manufacturers alike - great work, Intel. Intel justifies the ridiculous naming scheme by claiming that it's based on whether or not the CPU supports Hyper-Threading: all Core i7 CPUs have Hyper-Threading, while Core i5 CPUs lack this feature. While Hyper-Threading is welcome, it isn't the most important distinction between the Lynnfield and Bloomfield CPU designs - the hardware you require to actually use that CPU is far more important. 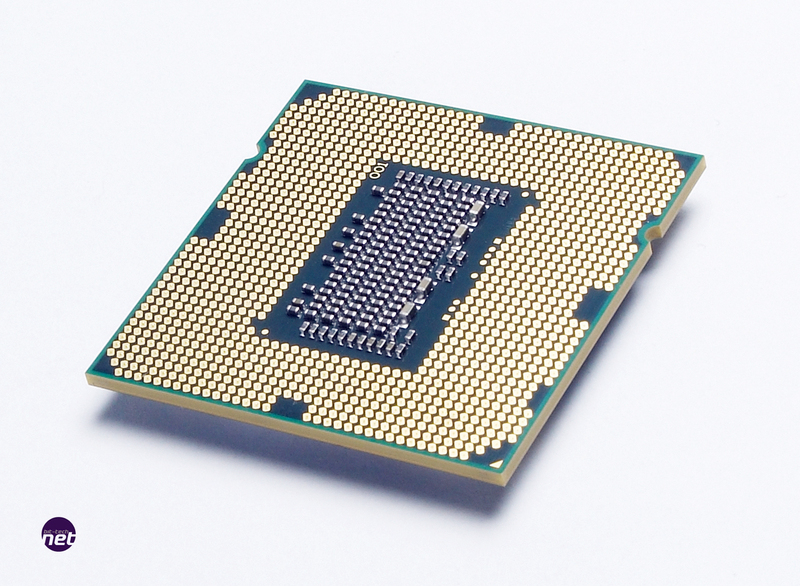 Hyper-Threading aside, the Lynnfield CPUs are functionally identical. 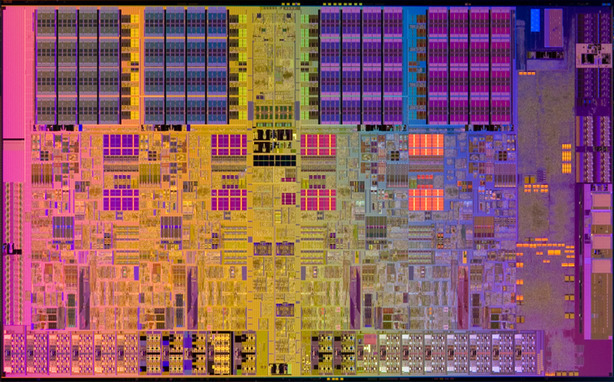 Each of the four cores has a 32KB instruction and 32KB data Level 1 cache, and 256KB of Level 2 cache; the four cores share an inclusive 8MB Level 3 cache. 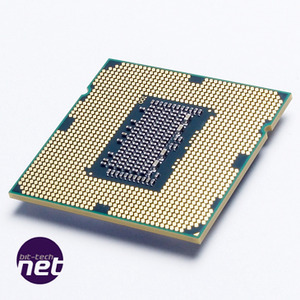 The £441 Core i7-870 is clocked at 2.93GHz, the £225 Core i7-860 at 2.8GHz and the £155 Core i5-750 at 2.66GHz. The Lynnfield core is based on the same Nehalem architecture as the Bloomfield-core Core i7s. The only real changes are the introduction of a PCI Express controller inside the CPU package and a less sophisticated memory controller that can only support dual-channel DDR3. Click to enlarge. The Lynnfield CPU design has a few improvements over a Bloomfield Core i7, the most obvious of which is its integrated PCI Express controller. 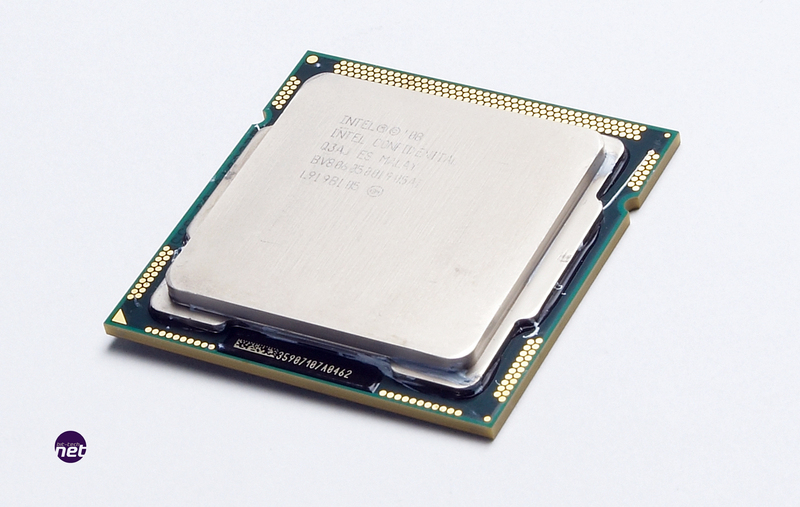 Previously, CPUs required an external chip (a Northbridge or the X58 chipset, for example) but a Lynnfield CPU can communicate directly with a graphics card. As Lynnfield is designed to be a mainstream choice, the PCI-E controller has only 16 PCI-E 2.0 lanes; however, it can split these to provide two graphics cards with eight lanes of bandwidth each. Lynnfield supports both SLI and CrossFire. For more details on the inner workings of the Lynnfield-core see our separate architecture article.